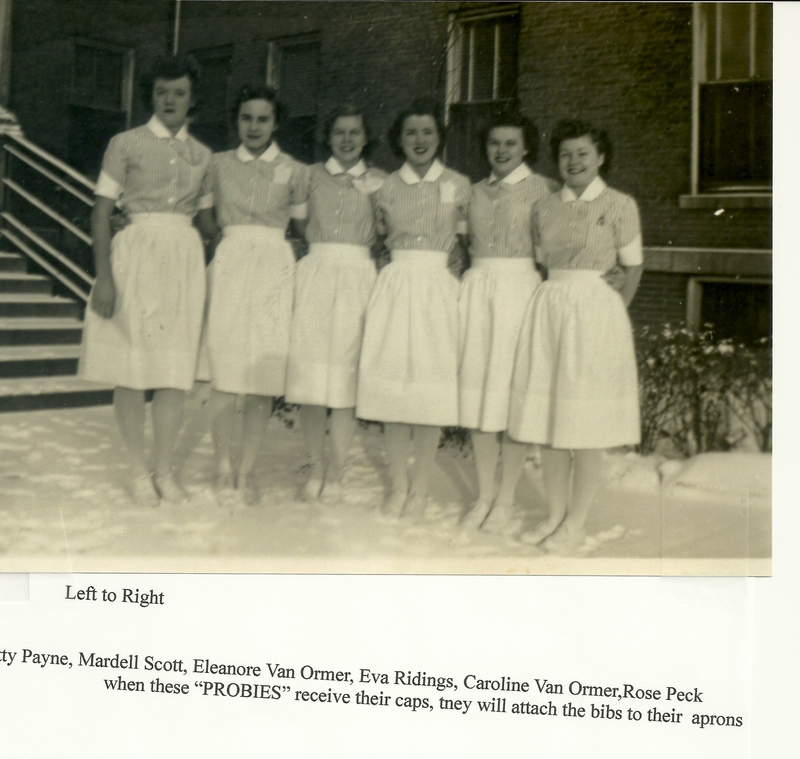 Graduated from Springfield Memorial School of Nursing, Springfield, Illinois. I always enjoyed learning. With credits that I could transfer from the University of Illinois, Indiana, Scottsdale Community College and Extension Classes from Northern Arizona University, I graduated with a B.S. in Vocational Education from NAU. In 1985 the Vocational and Industrial Clubs of America held their U.S. Skills Olympics in Phoenix, Arizona, and I served as Technical National Chairman for the Nurse Assistant competition. 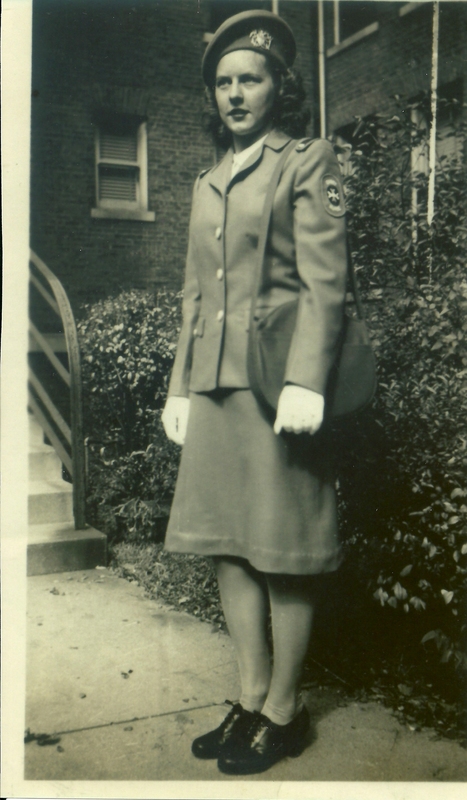 My sister Caroline and I were older than most of the girls coming into the U.S. Cadet Nurse Corps. Most of them had just graduated High School in the spring. We knew we wanted to study so asked to room together. We have lots of funny stories. Here's one: We were given a room at the end of the hall on the second floor. Our "Dorm" was the old hospital that was just moved out. The fire escape on the outside of the building ended at one of our windows. We thought we heard comeone on the fire escape so Caroline walked over and looked out of the window. She did not say a word but calmly walked over to the door,stepped into the hall and yelled "HELP." Our House Mother lived on the first floor in a room at the opposite end of the building so heard nothing. All the girls living on our floor came running to see two upper class students crawling through the window. 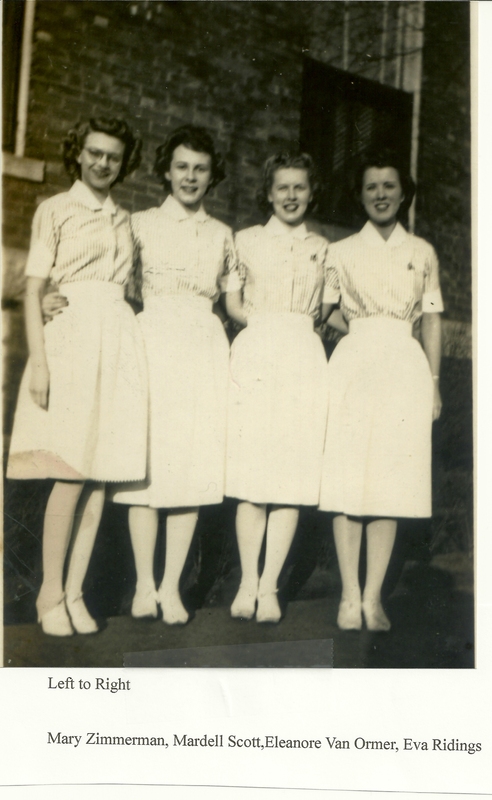 During World War II, student nurses were allowed to marry and on June 13, 1945 RM/1 H.E. 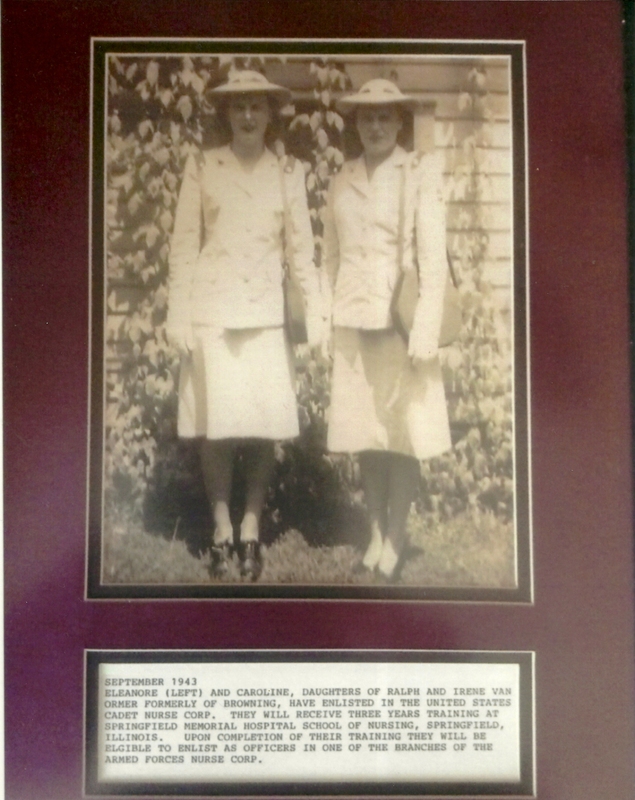 Anthony and I were married, so I graduated as Eleanore Anthony. H.E. died in 1976. I worked until we adoped the first of our three sons, Ronald, Thomas and James, in 1960 and was a stay at home Mom until we moved to Scottsdale, Arizona, in 1970. 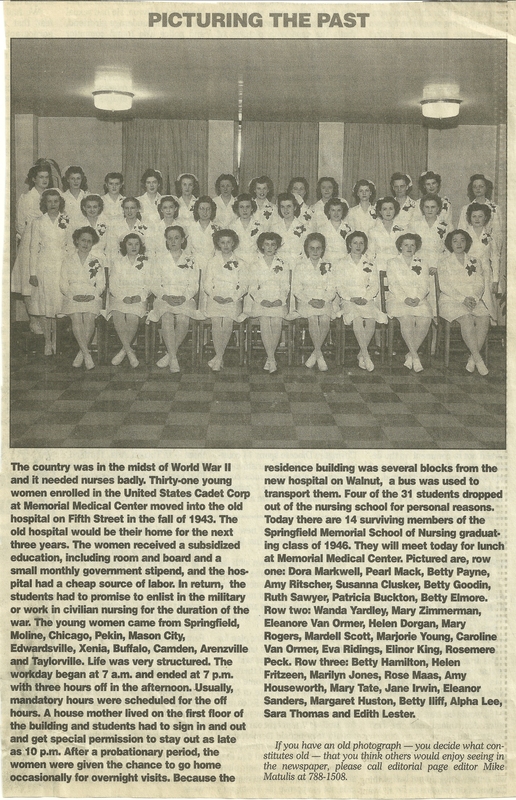 March 5, 1990, I retired as Nurse Manager of the VIP floor at Scottsdale Memorial Hospital, moved to Illinois, and married Thomas J. Clark.